" The title of the new album is Walk Between Worlds. It's the seventeenth studio album. There's a couple of tracks on the album which are about an abstract idea of faith, and it's interesting that the first song Magic opens the album with that. It's from a young person's point of view. Probably us realising when putting the band togther that the odds of finding success, the odds of making this thing work around the world were stacked against us. You'd have to had some faith to get by. The album ends with Sense Of Discovery which is also about faith but from a much older person's point of view. " - Jim. Work began on the demos for this album in September 2014, just after the competion of Big Music. Possible new songs for consideration included Chrome Heart, Fire Fighter, Harmonize, Human Trafficking, Love's Bonfire, Machines, Photograph, Planet Zero, Signal And The Noise, Solstice Kiss, Traffic, Tsunami and Utopia. The album's recording was delayed during 2016, when the band switched track, and recorded Acoustic. " This experience [the acoutic album] has reinvigorated and excited us about the potential of new songs, which we’ll begin recording soon. " Recording of the album finished in late March 2017, with the tracks still needing mixing and mastering. At that point, Simple Minds had embarked on their Acoustic live tour.
" The snow is falling in Glasgow as I write. And although it might be hard to imagine while looking out the window, officially yesterday was the first day of Spring. Time marches indeed. Today is Charlie's last day of recording on what is destined to be our new album - Simple Minds 17th to date. In a few hours he will pick out the last few beautiful notes, and most probably blast out some last minute ideas. The guitars will then go back in the cases, to be packed away until next week when rehearsals for the Acoustic Live tour begin. With the exception of the odd backing vocals to be added at a later date, I have also finished with my involvement in the recording. And so that is that! Another chapter in our story written, another effort complete. I like this current momentum in particular. Two and a half years since the release of our last album Big Music, and only 4 months since the release of Acoustic. In between we have toured extensively, while trying to also have some semblance of lives outside of the music. One that involves family and all that other crucial stuff. We've certainly had one or two "slow motion" career periods, but our own "march of time" has thankfully never really stopped since we started writing songs 40 years ago. It shows no sign of doing so either. So what will we do tomorrow, the day after an entire album recording has been concluded? We will get up early and start thinking about our next album - our 18th. This is how we live, it is the rhythm of our lives. " - Jim, 21st March 2017. The band considered releasing two albums simultaneously. Material by Simple Minds would've been on one album with ideas, contributions by other composers and covers on the second. (This would've been similar to the Sons And Fascination and Sister Feelings Call releases). At this point the albums were called Utopia and Nostalgia. The idea was eventually abandoned in favour of a single LP. Other ideas for titles were Magic and New Light On No Man's Land (an instrumental which was eventually dropped). Another song which didn't make the final album was For One Night Only. The album was produced by Andy Wright, Gavin Goldberg and Simple Minds. This was the same team who produced Big Music and Acoustic. Photography of the band for the album artwork took place on 16th October 2017. 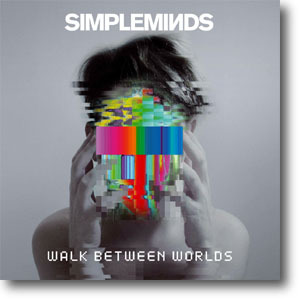 The campaign started in November 2017, exactly 40 years after Simple Minds formed. Two teaser videos appeared on the 15th and 17th November, revealing the album's artwork and tour dates. A fuller promotional video, press release, tour details, track listings and album formats appeared the following Monday. The album was realeased on five different formats, the most for any Simple Minds album. There were two basic track listings; the eight-track standard album, and an eleven-track deluxe album. The deluxe album included the bonus tracks Silent Kiss, Angel Under My Skin and a live version of Dirty Old Town. Dirty Old Town was recorded at the London Palladium on the 27th May 2017 during the Acoustic Tour. 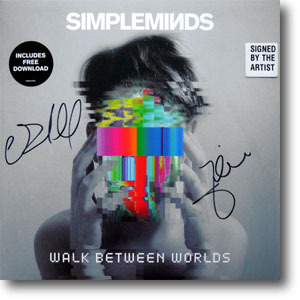 The limited edition blue double vinyl LP and limited edition picture disc LP were only available through the Simple Minds Shop. Likewise a limited edition fuschia double vinyl LP was only available through independent record stores. 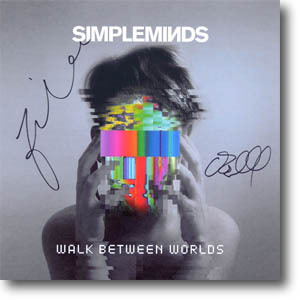 A limited edition 7" single was also released, and was made available through the Simple Minds Shop as part of several different bundles. The single was later revealed to be Magic. The artwork print was a 12"x12" display flat of the album's cover. All copies were signed by Jim and Charlie. The band photograph was a black-and-white 8"x10" print from the album's photograph session with Dean Chalkley. Again, all the copies were signed by Jim and Charlie. Extra test pressings were made and 50 were made available for purchase through the Simple Minds Shop as an extra limited edition. Magic was chosen as the first single from the album. It was premiered on RTL Radio in France on the 15th December; an unannounced move, and given that download links were quickly removed, it was probably erroneously released before an embargo was lifted. Magic received its official worldwide premiere on the 4th January 2018 when it was exclusively played on Chris Evans' BBC Radio Two breakfast show. Video and downloads of the song were released the same day. The Signal And The Noise was also premiered on the 4th January, with Steve Lamacq playing it on his BBC Radio 6 show in the afternoon. And Lamaqc got the exclusive again on the 24th January when he played Sense Of Discovery at the end of a long interview with Jim and Charlie. It was made available on streaming channels the same day. The album was made BBC Radio Two's Album Of The Week on the 27th January. And was Absolute Radio's Album Of The Week starting on the 5th February. And was BBC6Music's Album Of The Day on the 7th February. A stripped down version of the line-up - Jim, Charlie, Gordie and Cherisse - appeared on various radio shows in the week before the album's release. During the interviews, they played acoustic versions of severals songs, including Promised You A Miracle, Don't You Forget About Me, Magic and a surprise cover of Billy Idol's White Wedding. Jim and Charlie signed copies of the album at the HMV record store in Argyle Street, Glasgow, on the album's release day. Standard editions of the album were used. Some extra copies were signed and sold with Signed By The Artist stickers.